Continue reading "MPG in the Top 30 Blogs a Producer Must Follow"
This is part 2 of a guest article by Jim Monaghan and Gregory Kage about recording Jamaican Music. Continue reading "Recording Jamaican Music"
Continue reading "Producing Jamaican Music"
This is part 3 of a guest article by Jim Monaghan and Gregory Kage about Mixing Jamaican Music. Continue reading "Mixing Jamaican Music"
This is the Home Recording Workshop. A 7 week course that will instill a professional mindset and approach to designing, building and using your home recording studio. Continue reading "Home Recording Workshop"
This is an 8 week online mixing course created by a 26 year music industry professional engineer with credits that include over 30 gold and platinum records and 100 million in sales. Continue reading "Online Mixing Course"
This is an overview of the Waves Plugins Classes including 8 two-hour live classes and over 100 support videos on the entire Waves Collection! Continue reading "Waves Plugins Classes"
This is an 8 week online course including 8 two-hour live Mastering Classes and over 40 support videos. In this course you will learn the necessary skills to master music for yourself or others. 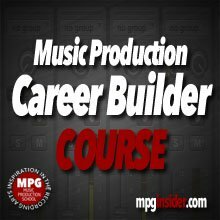 This is the music-production-guide.com music production lessons and career development page. Continue reading "Music Production Lessons & Career Development"